We arrived at Dulles early in the evening on a Friday. The Emerald Aisle selection was slim pickings, especially if we wanted a car with reasonable cargo space that was not a crossover of some kind. 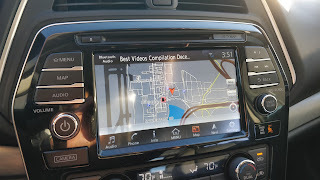 The thought occurred to me to ask for something particular, but I eventually settled on the one car in the line-up I had not driven yet, the loan Nissan Maxima. 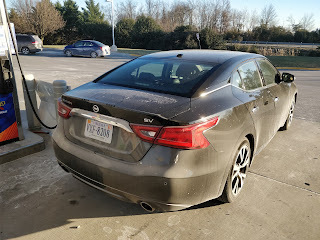 With its legacy of being the 4-door sports car (4DSC as the marketing mavens at Nissan called it back in the day), the current Maxima has an awful lot of history to live up to, especially considering that the last one I drove back in the early 2000s seriously failed to live up to expectations. 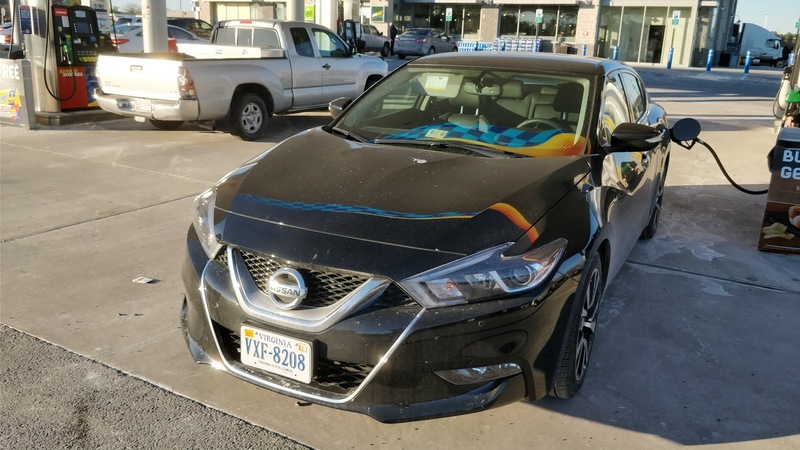 On first look, the styling of the Maxima certainly embodies the current Nissan design philosophy, utilizing the corporate V-motion grille and floating roof effect. Stretched over a longish wheelbase, but with overhangs that feel like they go on for miles, the Maxima ends up being quite a large looking car. The deep black paint helped to make it feel less bloated, but given its dimensions, I was certainly grateful for the sonar sensors at each corner. The rather narrow greenhouse does severely limit visibility, especially when combined with the high rear decklid. The design is both interesting and awkward at the same time, trying extremely hard to be sporty while simultaneously attempting to appeal to adults. It ultimately just ends up looking like an athlete past their prime, trying to squeeze back into the uniform they once wore. It is not the most flattering of looks, but hopefully it still has some moves to back it up. Inside, the Maxima's dark interior was at once roomy yet claustrophobic. The seats are well shaped and cosseting, hugging tightly in all the right places for a sporty car. However, the tall center tunnel and narrow greenhouse conspire with the black headliner to make what should be a full-size interior feel much tighter than it actually was. Luckily, the material quality is rather decent for the class, though a few cheap touches break any illusion of luxury. Still, considering my prior experience with their products, this is definitely one of the best interiors in Nissan's line-up. 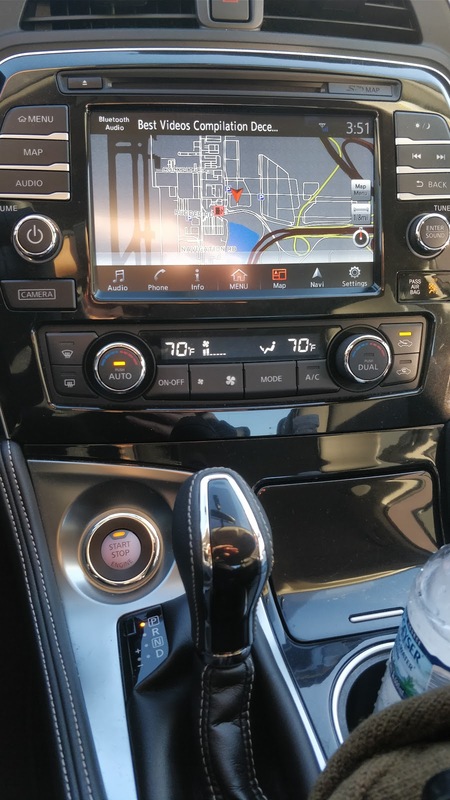 Sporty touches exist throughout, like red lighting in the gauge cluster, orange back-lighting of the buttons, and the flat-bottom steering wheel. If not for the horridly outdated infotainment system, this would be a genuinely competitive interior offering in its class. Luckily for Nissan, there is a redeeming bit of kit in the form of the rather ubiquitous Nissan VQ V6 motor. A press of the start button is rewarded with a muffled growl as the VQ springs to life. With 300 hp and 261 lb-ft on tap, it is easy to overwhelm the front tires with a little too much throttle too soon. 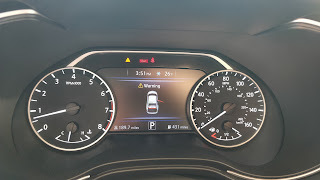 Torque steer can be a genuine problem, especially in conditions that are a bit slick, as we saw when a bit of snow dusted the DC area. Straight line performance is quite punchy and the reward for every stab of the throttle is a throaty growl from the exhaust. Of course, there is a weak link in this drive train. 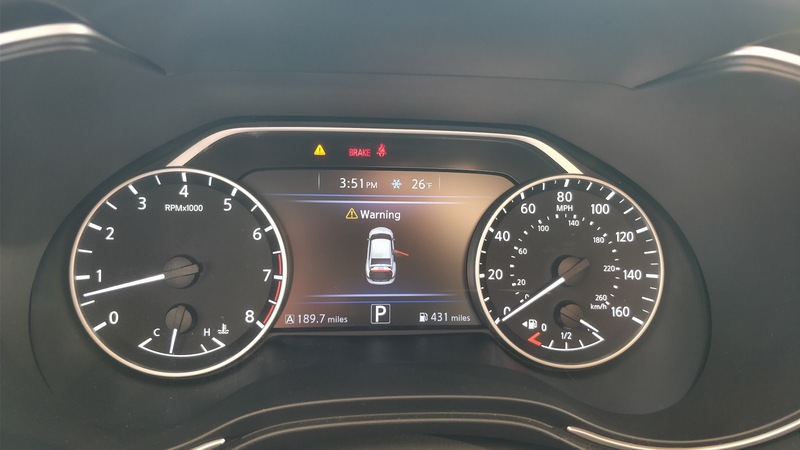 The decision to use a CVT transmission in a car with sporting intentions is pretty much always a disappointment and the Maxima is no exception. Nissan has tried hard to hide the fact that this car uses a CVT, creating a manual mode with fixed "steps" and dragging out how the car builds revs, but it ultimately cannot escape the droning that ends up being the fate of all CVT addled cars. Even the pleasant exhaust note of the VQ becomes tiresome at a constant drone. The quest for fuel economy is not worth the painful aural assault that CVTs bring to the mix. 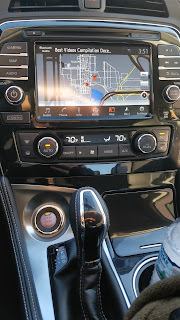 Luckily, if one keeps the revs down around town and drives with restrained civility, the torque of the VQ spares the driver and occupants from the worst of it. 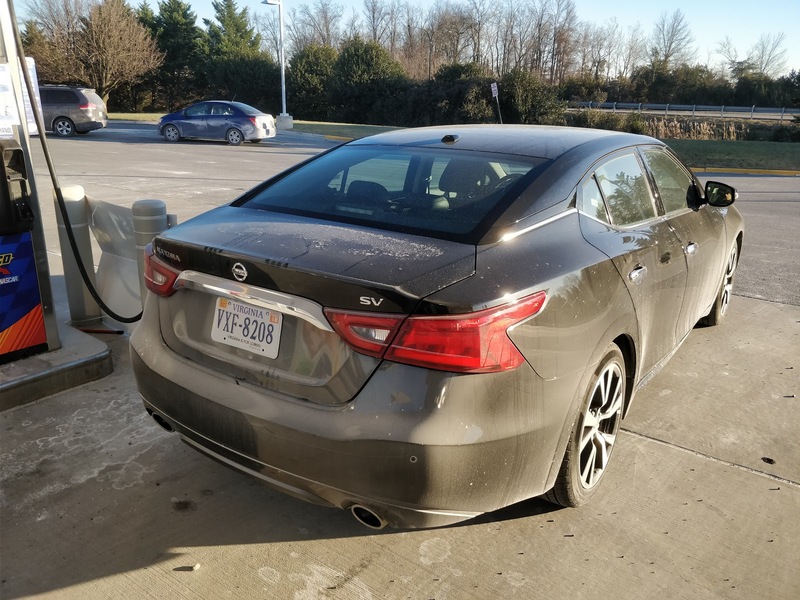 Speaking of around town, the ride of the Maxima is surprisingly well damped, absorbing even DCs famously potholed roads without complaint. That compliance is a trade-off though because the softer suspension combined with the rather front-heavy weight distribution conspire to make this car wallow significantly if pushed. Again, Nissan's decision to try to meet everyone halfway has resulted in a car that betrays the 4DSC moniker. 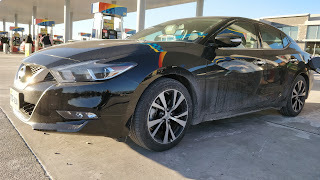 If Nissan would drop the pretense of the Maxima being sporty and just build this car to properly compete against the Toyota Avalon, they might just sell a few more copies. As it is now, the car seems to be unclear about what its own identity is. And that is really the takeaway from my time with the Maxima. 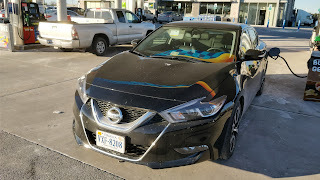 Not to say it is a terrible car, which I generally find Nissans to be. Instead, the Maxima is just a confused one. The low-slung exterior compromises passenger space in the name of design. The CVT sacrifices sportiness in the name of fuel economy. The soft suspension sacrifices sportiness in the name of ride quality. This is a car that is confused about its identity. It does not know what it wants to be and tries too hard to be all things to all people, but ends up failing to satisfy in any category. About the only redeeming quality is that Nissan's VQ motor is a real gem in just about every application. This is a car I would never be willing to spend my own money on, but as a rental for a few days, it is a perfectly pleasant choice. Thanks to National and the Emerald Club program for continuing to be a solid option for my rental car needs in just about all of my domestic destinations.